Between 8 and 12 months, depending on the vintage, and in 500 litre oak casks. The entire elaboration process is aimed at retaining the essence of this delicate flavour in the bottle. Fermentation does not exceed 25ºC. The maceration of their fine skins is carried out with care, not prolonging the winemaking process beyond 14 days. The malolactic fermentation is done in oak casks. There are versions of classics that surpass the classic itself by adding their own personality. And this is our interpretation of the Graciano variety, which is reaching new heights. 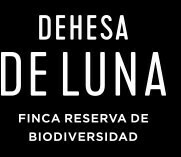 Our original tones make it special and they are as much due to the climatic conditions as the earth at Dehesa de Luna. Graciano is a very full wine, of a lively cherry red colour, aromatic and contemplative, that makes you close your eyes. Combined with black fruits and spicy aromas, which fill the mouth with the same bouquets. It stands out boldly, with an acidity which is typical of the variety and a considerable body. The elegance and joy that it evokes within you, once you have taken it in, will stay with you forever generating positive feelings, or what we often call: “good vibes”.